OBD-2 breakout box for light and hobby use. Plastic construction for light use, contacts 4 and 5 internally connected. 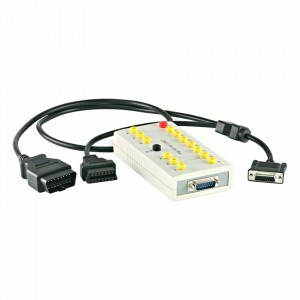 3-ft (1 meter) OBD-2 cable. RoHS Compliant.